Tidewater Tech is accredited by the Commission of the Council of Occupational Education. Certified to Operate by SCHEV. 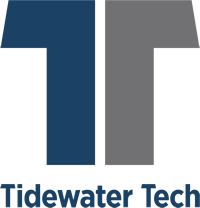 For Consumer Information and Notice of Non-Discrimination, please visit our website at www.TidewaterTechTrades.edu. By submitting this form, I expressly consent to be contacted by Tidewater Tech with materials for educational services via telephone or text message. I understand that the calls and messages may be transmitted using an auto dialing system.